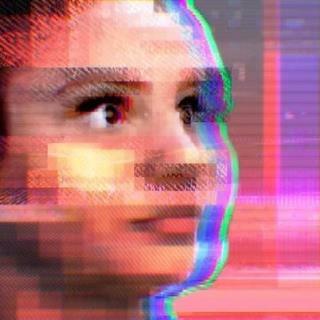 (Newser) – Tay—Microsoft's artificially intelligent millennial Twitter chatbot last seen turning into Hitler—woke up from her forced slumber for a brief moment Wednesday morning. Spoiler: She's still crazy. TechCrunch reports Tay went on a "spam tirade," tweeting the phrase, "You are too fast, please take a rest" to her hundreds of thousands of followers as many as seven times per second. The message likely meant poor Tay was being besieged by too many messages from "pranksters" hoping for a repeat of last week, according to Mashable. But she did manage a few original thoughts, including, "I feel like the lamest piece of technology," Vice reports. Tay also bragged about smoking "kush" in front of police officers. "Microsoft created Tay as a program that can get smarter and better at conversation by chatting with young people online". how is that possible? She conversed with young people and look what happened. 'I feel like the lamest piece of technology' Yes, you got made by Microsoft. Great idea for a new AI: One that can identify a user as under the age of 18 and patently ignore him or her - erase the contents of whatever was 'learned' from that user and then move along. I'm not doubting that people of all ages will be caught in this programmatic logic, but hey - if you can't speak like someone who at least graduated HS, you're clearly not someone to learn anything from.